David was born and educated in Ipswich and is the sixth generation of Boswell running Boswell Printers. Having started as an apprentice in 1963, he took over in 1979 and has managed the transformation the business ‘three people in a shed’ to its current status. He is married to Jenny, who always support’s David in his Freemasonry, they have a dance instructor daughter and son in film production. He is also a Freeman of the City of London and a member of a Livery Company. 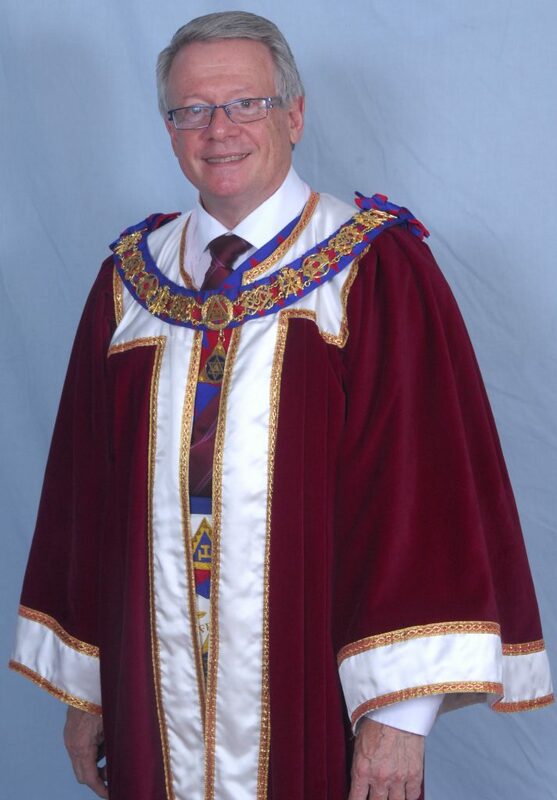 Initiated into his Father and Grandfather’s Lodge, Corinthian, in 1975, WM in 1990, David has been Master of British Union and Countryside Lodges (at least). He was exalted into Regent’s Park Meridian Chapter then meeting in London, deliberately to meet new friends. A founder of Orwell Chapter in 1992, he was MEZ in 1996. As well as Provincial Rank, he was appointed Acting Grand Standard Bearer (Eng) in 2007, a job he describes as ‘escorting George Pippon Francis about the country installing Grand Superintendents’. David is obviously fond of The Royal Arch and naturally proud of his Province. ‘I like the fact that we call ourselves Companions, an excellent description of any Freemason.’ He did not expect the offer of Grand Superintendent (‘very surprised, “there are far better qualified Companions in Suffolk”) but was honoured to accept. 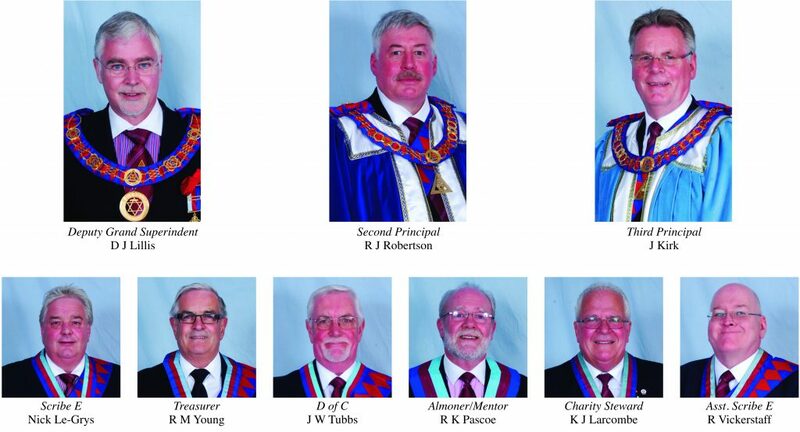 ‘Suffolk is a thriving and happy Province thanks to the current and previous Grand Superintendents and Provincial Grand Masters.